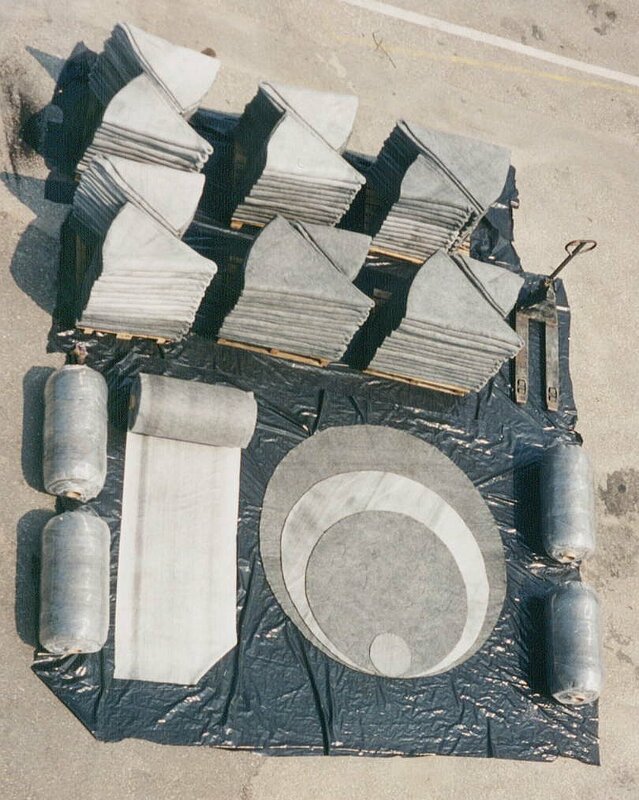 Aktofix activated carbon mats were specially developed for the filtration of contaminated gases and liquids. The main area of use for our patented activated carbon filter mats is in groundwater protection i.e. as a filter insert or inlet filter, in soakaways, in street gutters, large infiltration areas, buried infiltration systems, well filters and as last chance filters with oil separators etc. Another important field of application is that of odour elimination i.e. when noxious odours are present in waste water systems and pump wells, as an interim cover for temporary waste disposal sites and containers, in the area of agriculture or with industrial exhaust air filters. The fact that activated carbon can easily be mixed with other filter substances such as oil absorbing mulch or Zeolith endows it with an extensive range of applications – actually every situation that requires contaminants to be eliminated from water or air. 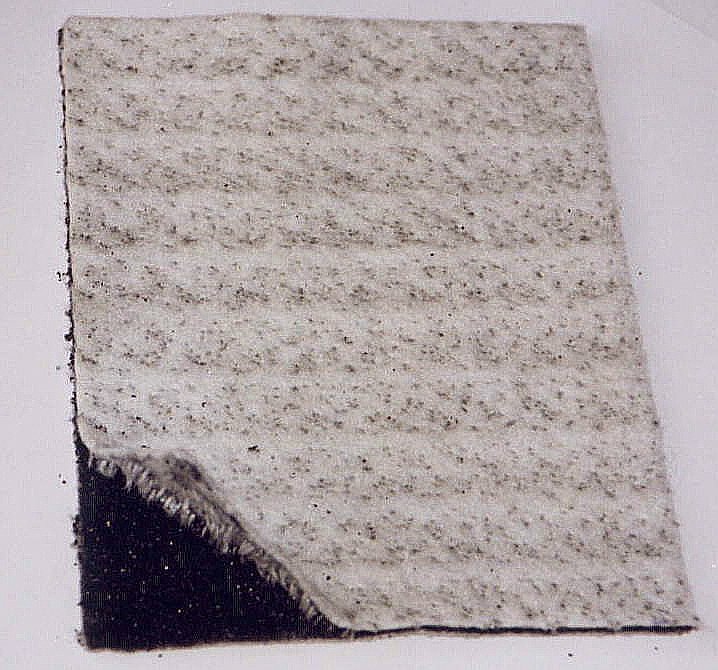 The activated carbon filter mats are comprised of two layers of water and air permeable filter fleece with a core layer of activated carbon. The three layers are permanently bonded together over their whole area using thousands of fine threads. No glues, chemicals or foams are used during this process which means that 100% of the surface area of the activated carbon is free for contaminant adsorption. Approximately 0.5-5 kg with 0.8-1.3 cm activated carbon can be incorporated per m² of mat. The activated carbon mats are produced in lengths of up to 5 metres wide and 50 metres long, with a thickness of approximately 0.8-1.3 cm. The water permeability of the mats is equivalent to that of fine sand. The mats can easily be folded or pleated, cut, rolled, wrapped around pipes or processed into filter modules.